In the early 1800s, small, dense, urban graveyards had become a problem in cities across America. Concerns about crowding, the potential spread of disease, and demand for valuable real estate in city centers cried out for a new solution. Beyond that was the experience of the living: those visiting graves of departed loved ones. Dank, crowded churchyards in the middle of the city were not only unappealing, they posed health hazards. The need for a new solution was critical, and Boston rose to the challenge. Boston was home to many dense urban burial grounds as well as a growing community of those who appreciated horticulture and the emerging discipline that would come to be known as landscape design. 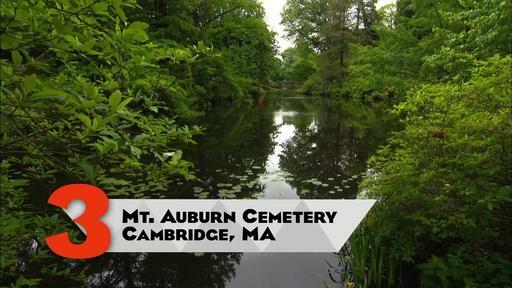 Six miles west of the Boston city center, on 72 acres bordering Watertown and Cambridge, Mount Auburn Cemetery was dedicated in 1831. It answered this challenge and created the concept of an expansive "rural cemetery." The opposite of a city graveyard, Mount Auburn was designed by Henry Dearborn, who headed the Massachusetts Horticultural Society. 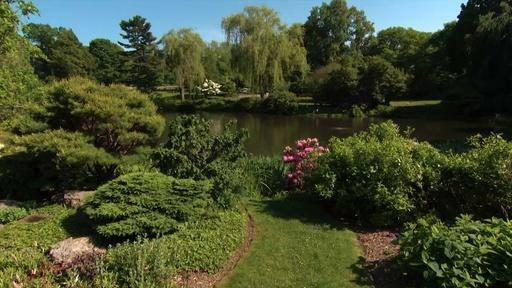 He created a landscape in the naturalistic English style – a tranquil, inviting, open woodland with ponds, curving paths, and beautiful plantings. Visitors came to Mount Auburn for an afternoon to stroll, picnic, connect with nature, and commune with lost loved ones. In short, it was a park - with graves. Those benefits were widely felt. Within a few decades, every major American city had emulated this elegant solution to a growing problem, creating naturalistic landscapes in which the dearly departed could be visited. Mount Auburn Cemetery is a National Historic Landmark. Among the notable people buried there are architect Charles Bulfinch and inventor and visionary Buckminster Fuller. Explore the official Mount Auburn Cemetery website. Read more about the founding of Mount Auburn Cemetery. Plan a visit to Mount Auburn Cemetery. Mount Auburn marked a whole new kind of cemetery, replacing the crowded church graveyards that came before.